We’d love your help. 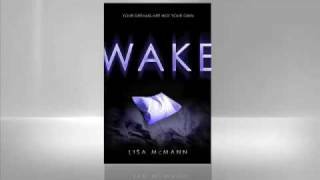 Let us know what’s wrong with this preview of Wake by Lisa McMann. She can't tell anybody about what she does -- they'd never believe her, or worse, they'd think she's a freak. NOT ALL DREAMS ARE SWEET. To ask other readers questions about Wake, please sign up. Brianna not good at all. just save yourself the time and read something else, either by her or by someone else. Is this book appropriate for 13-14 year old girls to read? A surprisingly good YA book, a perfect mix of romance, paranormal, and mystery. The writing style is peculiar and won't be everyone's cup of tea. It definitely takes some time to get used to it. But once you get over the present tense 3rd person narration and choppiness, you realize this style actually makes the book more intense and fast moving. The love story is equally powerful and touching and certainly differs from your standard paranormal romance formula. Lastly, kudos to Lisa McMann for skillfully weaving dream-catching into a very fascinating story. A nice departure from the deadbeat vamp/were/fallen angel theme. I do not understand the writing style. I do not understand the plot. And I sure as hell do not understand the appeal. Everything about this book was choppy, weird, and over in a blink of an eye. Come to think of it, it was reminiscent of a dream, the foggy kind you forget immediately upon waking. The writing was unnecessarily blunt and in the 3rd person, both of which I consider poor writing decisions. I felt alienated from the story, and I never understood who was I do not understand this book. The writing was unnecessarily blunt and in the 3rd person, both of which I consider poor writing decisions. I felt alienated from the story, and I never understood who was acting or who was speaking. And the plot. I do not even know what to think. Props for McMann for being original, I guess, but at least a formulaic plot is comprehensible. McMann’s plot was thin and rather ridiculous and it didn’t even BEGIN to answer any of my questions. Seriously, all it did was confuse me, and if the book wasn’t so quick to read, I wouldn’t have made it through. Janie gets sucked into other people’s dreams. She tries to stop it, but can’t resist the overwhelming pull. She first noticed it happening when she was eight-years-old. Janie has witnessed everything from the typical falling dream and standing naked in front of a crowd dream to World War II battle dreams. Most of the time she is just an observer. Even if the dreamers ask for her help, she can’t manage to do anything. Janie’s life has been hindered by this "curse." She found out early that sleepov Janie gets sucked into other people’s dreams. She tries to stop it, but can’t resist the overwhelming pull. She first noticed it happening when she was eight-years-old. Janie has witnessed everything from the typical falling dream and standing naked in front of a crowd dream to World War II battle dreams. Most of the time she is just an observer. Even if the dreamers ask for her help, she can’t manage to do anything. Janie’s life has been hindered by this "curse." She found out early that sleepovers weren’t good for her. The close proximity of the other girls caused her to experience their dreams and not get any rest for herself. It doesn’t have to be nighttime for this to happen though. Anytime someone around her is asleep - she gets sucked in - at school, on the bus, driving down the road, etc. When she is in someone else’s dream it looks as if she is having a seizure. All she knows is that she loses feeling in her limbs and becomes paralized. The more frightening the dream, the faster the numbness occurs. Janie has an alcoholic mother, an unknown father, and is extremely poor. She lives on the "wrong" side of town and has one loyal friend. She lives in isolation in order to avoid being stuck in someone’s dream. A new addition to her life is Cabel. He lives in her neighborhood and seems to be a loner. She has several interactions with him throughout the book, but their lives become intertwined when she has to let him know about her problem while they are on a school trip together and she is stuck on a bus for several hours with her napping classmates being sucked into one dream after another the whole way. Cabel must help her through. This is a comfort to Janie as well as a new stress. She grows to like Cabel very much, but when she begins to get sucked into his gruesome dream and hears some particularly damning rumors about him, she questions her feelings for him. With the help of an unlikely person she meets at the nursing home (and some books from the library), Janie begins to gain a little control over her "curse." The reader will be sucked into the dreams with Janie. Your heart will go out to her and cheer as she makes her way through life given the obstacles she must overcome. WAKE is a very inventive story and I can’t wait for the sequel. This book is short, sweet and simple. I think it's the simpleness of the story that gives it the most charm. There are no intricate or twisted plots. Nor is than any great climatic action to this story. It is a gradual growing of a girl and a boy as they learn to deal with an unusual psychic ability together and face their nightmares. There isn't much to say about this book. There isn't much plot or pacing to speak of though it doesn't drag on. It's hard for this book to drag on because there simp This book is short, sweet and simple. There isn't much to say about this book. There isn't much plot or pacing to speak of though it doesn't drag on. It's hard for this book to drag on because there simply isn't much of it. I read it in three hours. The characters are complex, compelling and well crafted. Though the character of Cabel has convinced me of one thing that I had already suspected. In literature, we like our men obsessive. We like them to be doggedly persistent in their chase of our heroines. It's not enough that they summon the courage to attempt to speak or interact to them. It's not enough that they put themselves or their hearts on the the line. They must win us, well and truly. They have to be obsessed and consumed with us. I think it's a sad reflection on the high expectations that we have on men today, but Cabel is different from the norm. Because you can actually understand why he would risk everything for the female main character. He's reasonable, lovable, and flawed. I've read countless YA novels in this past year, but Wake is by far my favorite. To be perfectly honest, it's not the story that I like so much - it's very interesting and well thought out, but it was the writing that blew me away. In her review, Tatiana called McMann's writing style flawless, and I must admit I was very intrigued by her choice of words at the time. I understand now exactly what she meant. Wake has a steady rhythm that you can almost feel in your bones while reading. It’s very h I've read countless YA novels in this past year, but Wake is by far my favorite. To be perfectly honest, it's not the story that I like so much - it's very interesting and well thought out, but it was the writing that blew me away. In her review, Tatiana called McMann's writing style flawless, and I must admit I was very intrigued by her choice of words at the time. I understand now exactly what she meant. Wake has a steady rhythm that you can almost feel in your bones while reading. It’s very hard to describe, but very easy to notice once you start reading. I adore its simplicity and unpretentiousness. Lisa McMann's writing is every linguist's dream. Linguists are usually very sensitive when it comes to language economy, and we especially dislike redundancy. There isn't a single part that is redundant in Wake. In Delirium, the MC leaves the house in the middle of the night to go to an illegal party and warn her best friend about a raid. While she is on her way to perform this very important task, Lauren Oliver takes the time to describe the streets, and even trash cannes she walks by. That’s pretty much where I lost my interest. Writers tend to dilute their stories with descriptions and unnecessary facts. In literary theory, those parts of a text are called catalysts. Wake is only about 200 pages long, but that’s because there are no catalysts in it. There isn’t a single word that dilutes the core. The sentences are clean and short, almost bare. From my (strictly structuralistic) point of view, that makes them almost perfect. I already had low expectations, because it was a random cover buy, but it surpassed them?. The plot seemed so interesting… but the writing was so choppy. The characters were underdeveloped and there wasn't even a plot… it was just bad. Uh… it’s a really cool plot idea? I enjoyed the incorporation of lucid dreaming. I liked the first few pages? The character of Janie seemed interesting before I realized she was never expanded upon? Everything else. I’m not one to just hate, but this one had so many issues I'm not even sure how to keep track. The writing style was so absurdly choppy. Like I get stream of consciousness writing. I get it. But every sentence was a fragmented that restated EVERYTHING. Then the fragments were just broken up further with divisions in time. Then broken into itty chapters and spliced together paragraphs. None of the characters were ever expanded upon. Cabel just doesn’t make any sense and I don’t understand any of his character’s motivation. I never learned anything about Janie other than how inconvenienced she was by her circumstances. What does she want? What does she enjoy? What was even the purpose of Carrie’s character? Or Melinda? Or Shay? Or anyone? There was no plot. At all. Just Janie walking through random dreams and becoming more and more upset by them. Which, sure, it’s distressing. But I expected her to have an idea of how to fix it, discover some horrible secret about someone, meet someone else with the same ability--anything. There was just no plot. Random things just kept happening. What was that romance even? It came out of nowhere. They don’t even really like or know each other, but she walks in his dream one time and he buys her a snickers and suddenly they're in love…? WTF did I just read this book is freakin weird!!! It's like a sequence of dreams with a little plot that's it!! The only reason I finished it was because I was curious to see if it changed. It so didn't and i'm so not reading the sequel, yeah it's so bad i'm not even giving it a chance. You know when you are trying to write a paper for school and you are a couple pages short? You start playing around with the margins, cha Before I start this one, just know that I LIKED IT. I don't love it as much as many of my Goodreads friends but this could be because I started out listening to this and finished the last 30-40 pages in book form. I'm glad I did so because I can say that I liked this book loads more in audio format. I'm fairly sure the writing style just wasn't doing it for me. The light, spare prose in Wake takes getting used to, and while compulsively readable, doesn’t always match up to the weight if its subject matter, or the potential gravity in some of its characters. 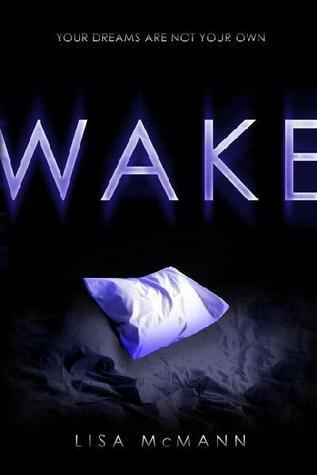 But Wake does create something different: a mix between the fantastic-premise-meets-teen set-up of books like Twilight, and plot devices that will gather fans of Sixth Sense and Ghost Whisperer. However critical you want to be, there is no getting around that where Wake improves over similar books i The light, spare prose in Wake takes getting used to, and while compulsively readable, doesn’t always match up to the weight if its subject matter, or the potential gravity in some of its characters. But Wake does create something different: a mix between the fantastic-premise-meets-teen set-up of books like Twilight, and plot devices that will gather fans of Sixth Sense and Ghost Whisperer. However critical you want to be, there is no getting around that where Wake improves over similar books is in passing on 7/8ths of the over-extended romantic drama that bogs its better known predecessors down. You’re left with a lean, enjoyable, well-plotted drama, and a main character, Janie, who maintains a firmer grip on herself and her friendships. I best get this review out of the way before I start the second book in the series: Fade. In short, the story is about Janie, a girl who finds herself dragged into the dreams of those sleeping around her - a big problem, as you can imagine, in the majority of high school classes. With no idea why she has this strange ability, Janie begins to discover that, not only can she see the dreams happening, she can also interfere and change what happens. I really liked the story and, surprisingly for a yo I best get this review out of the way before I start the second book in the series: Fade. In short, the story is about Janie, a girl who finds herself dragged into the dreams of those sleeping around her - a big problem, as you can imagine, in the majority of high school classes. With no idea why she has this strange ability, Janie begins to discover that, not only can she see the dreams happening, she can also interfere and change what happens. I really liked the story and, surprisingly for a young adult novel, I also liked the romance going on between Janie and Cabel. The characters are interesting and I found the novel to be at times really funny and at others quite sad. I think it's the kind of book that grows on you the further you get. I wasn't overwhelmed with wonder in the first chapter but I noticed that the book quickly got better and better. What I couldn't get used to and still find really strange when I think back about it, is the fact that the novel is written in 3rd person present tense narrative. It kept confusing me and just seemed rather weird. There were a number of times whilst I was reading the novel where it would say "she did this" or "she did that" and I'd be thinking "who's she? I thought Janie was the only one there... ohhhh". But, on the whole, it doesn't detract from the overall story and I found it a different and enjoyable read. Thanks to readitswapit, I have book 2 already sitting on my shelf. Apparently, though, according to the ever-wise Tatiana book 3 is a no-go. I'll probably stop after Fade. I liked the idea behind the story okay, but there were more F words in this YA book than any of the adult novels I've read. It just wasn't necessary. This book contained a lot of content that just wasn't appropriate for teen readers. I'm also not a huge fan of the writing format. I'm not sure if it wasn't just to cover up the fact that maybe the writer isn't all that good at writing. This book went from random, confusing and pointless to freaking epic and intriguing, just to end up as a huge predictable cliche that 10 year olds could find highly enjoyable. Nothing else to add, your honor. I wonder why I keep doing this to myself. I could be doing Calculus homework. I could be writing my novel. Instead, I devote my time to reading badly written YA fantasy. Perhaps I just like to procrastinate. I wish these authors would quit being so crafty. It's like they only focus on the first few pages of their books. Conveniently, those first few pages are the ones that show up on the book previews. Luckily, I didn't have very high expectations for Wake. It was just sitting on my desktop and I I wonder why I keep doing this to myself. I could be doing Calculus homework. I could be writing my novel. Instead, I devote my time to reading badly written YA fantasy. Perhaps I just like to procrastinate. Luckily, I didn't have very high expectations for Wake. It was just sitting on my desktop and I was bored. Two hours later and I'm still bored. I didn't have a problem with the writing style. It's written in third person present, like Loser. However, this writing style is misused. I've said this before and I'll say it again -- Third Person Narration is For Plot Driven Stories! First Person narration is for character driven stories! Harry Potter was not a character driven series. That's why it was written in third person narration. No one cared about Harry, they just wanted the mystery. Catcher in the Rye is not a plot driven story. It relies on it's characters. Holden's voice is what drives the story. Fantasy, Horror, and Science Fiction are typically written in third person because they rely on plot and setting while Contemporary is typically written in first person because it relies on it's characters. I know what you're thinking. Cory, this is a fantasy novel. Why are you complaining? Janie is sixteen. She buys her own clothing now. Often she buys food, too. The welfare check covers the rent and the booze, and not much else. Two years ago, Janie started working a few hours after school and on the weekends at Heather Nursing Home. Now she works full-time for the summer. I was halfway expecting questions to start appearing at the end of every chapter. Lisa McMann did a Meyer. She pulled a plot out of nowhere in the last fifty pages. Maybe that's why I skimmed the last fifty pages. I just didn't care about what happened next. I'm not a big Orson Scott Card fan, but his novel Magic Street has the exact same premise as this, and we actually get explanations for why things happen. You know, those little things that authors give us when they're not trying to string us along for the sequel. I hate choppy, forced, ambiguous endings. And just to spite her, I'm not going to read the sequels. It's not like this book had anything going for it outside of the premise. Janie isn't a very compelling character. I could care less about her. Her romance with Cabel was bland. In fact, I found him somewhat annoying. You'll be rolling your eyes when you find out what he's really up to. The romance felt like it was thrown in for Janie to have a love-interest. Her mother was the only interesting character. I wanted to know what was up with her. Carrie was also annoying. I didn't even get why the lesbian sub-plot was needed. If anything, that was more interesting than the main plot. Why don't we find out anything about Janie's powers? What was the deal with Martha? Who is Captain? These questions aren't answered. I doubt they'll be answered in the sequel. Finally picked this book up at Barnes and Noble last night and once I started reading I couldn't put it down. Well, okay, I slept for awhile last night, but I didn't sleep very well, actually, and I had some really odd dreams... Just finished the book. I haven't been that totally consumed by a book, YA or not, in a really long time. Loved it!! Highly recommend this book for anyone who likes fast-paced, well-written, and extremely original young adult fiction. Lisa McMann is definitely a talent to Finally picked this book up at Barnes and Noble last night and once I started reading I couldn't put it down. Well, okay, I slept for awhile last night, but I didn't sleep very well, actually, and I had some really odd dreams... Just finished the book. I haven't been that totally consumed by a book, YA or not, in a really long time. Loved it!! This book was a very interesting read. The format was different than usual and I liked that. I enjoyed the surprise with the hero at the end. I can't imagine being stuck with a super power like that one. It would be so hard to deal with. 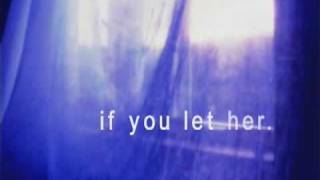 If you're a fan of Insomnia by J.R. Johansson, then check this one out. Jaine has a gift! Or rather a curse!! She can watch other people's dreams, if anyone in her proximity is dreaming, she get's sucked in his dream, she can't avoided it. And then she meets Campel and realises that not only she can watch his dreams but participate in them. The experience of reading this novel whould be safe to say that can only be compared with a thrilling and scary ride on a VERY fast rollercoaster (and this comes from someone who absolutely LOVES rollercoasters)! This is probably Jaine has a gift! Or rather a curse!! She can watch other people's dreams, if anyone in her proximity is dreaming, she get's sucked in his dream, she can't avoided it. And then she meets Campel and realises that not only she can watch his dreams but participate in them. The experience of reading this novel whould be safe to say that can only be compared with a thrilling and scary ride on a VERY fast rollercoaster (and this comes from someone who absolutely LOVES rollercoasters)! This is probably not a book for everyone, the prose is succinct, spare and sharp. The narration is fast-paced and feels episodic. Some will hate it, others will love it!! Personally, I couldn't put it down. I thought all this elements made the book excellent. Because what is Jaine's life if not a series of episodes as she jumps from dreams to reality and back? We watch her struggle everyday because when someone sleeps in class, behind her on the bus, or even has a nightmare and she’s driving by, she goes into something of a seizure, blind and paralyzed in body, she has to endure the entire dream with the dreamer in her mind. As Janie grows older, this becomes more of a problem, especially in her study hall and at her job as an assistant at a nursing home. She's constantly, tired and hungry and has noone to turn to and tell the truth because she fears that they'll think she's crazy! But no, instead we get a simple problem and answer. I felt like if the book was more lengthy and had a better climax, then it would great. Over all this book could have been an epic read if only the author put together a better plot and more drama. I was really disappointed on reading this. I don't think that I will be continuing on reading the second and third book. What an enthralling story! I can’t wait for the rest of this series! I’d heard good things about Wake and I wasn’t disappointed at all! Janie has a gift, although it seems to be more of a curse. She can visit people in their dreams, well actually she is sucked into peoples dreams, and it is rather impossible to escape. She fist discovers her talent at the age of eight, but doesn’t realize the magnitude of her ability until she is older. Janie grew up in Fieldridge, Michigan. Her mother is an alcoh What an enthralling story! I can’t wait for the rest of this series! I’d heard good things about Wake and I wasn’t disappointed at all! Janie grew up in Fieldridge, Michigan. Her mother is an alcoholic and she is often reminded of her "white trash" status at school. While these are obstacles, I think these are the things that makes Janie the strong character that she is. Janie’s only friend is a girl named Carrie, that moved in next door. But Janie doesn’t even trust Carrie with her secret. The only person that knows about Janie’s ability is a boy named Cabel. Janie has been in Cabel’s dreams and she thinks she knows him and even trusts him despite his horrific dreams. But then Janie finds things out about Cabel that would haunt even her dreams. She tries to avoid him, but Cabel’s pleas reach her through one of his dreams. Somehow she finds the strength to trust him and find out the truth behind his bad boy image. Now Janie may be able to use her ability for something good. Hmmm… this probably shouldn't be a review but "private notes" since it's mostly some semi-random thoughts thrown together. But I'm trying to be a good scout and leave at least "some" impressions in every review so when I come back a year later, I can remember the reasons for my rating. I can't give this book more than 3 stars because I found it too short. I don't know about the rest of the trilogy but this definitely reads as part of one. The plot wasn't about anything spectacular and there's not Hmmm… this probably shouldn't be a review but "private notes" since it's mostly some semi-random thoughts thrown together. But I'm trying to be a good scout and leave at least "some" impressions in every review so when I come back a year later, I can remember the reasons for my rating. I can't give this book more than 3 stars because I found it too short. I don't know about the rest of the trilogy but this definitely reads as part of one. The plot wasn't about anything spectacular and there's not a big climax; it just sort of builds slowly toward the logical conclusion. Other than that, though, it was pretty good. From other reviews I've read, it seems that people either love or hate the writing's style without much middle ground. I'm in the first group. The 3rd person narration takes some getting used to but nothing too serious. This book was so good. It was devoured in 1 day, 1 sitting at that. Janie is a dream hopper, not her own, but everyone else's. No explanation, no rhyme or reason, she just is. It is beginning to take over her life and frigthen her... but, she realizes that she can help the dreamer. I don't know what to say without giving away too many details, but w-o-w! I am super stoaked to read "Fade". Ha cumplido completamente con lo que esperaba de él. Quería desconectar, algo ligero, sencillo y que se saliera de lo que han sido mis últimas lecturas. Desde que los ocho años Janie sufre una extraña condición que hace su vida realmente difícil y es que no puede estar cerca de alguien que duerme ya que si eso sucede Janie se ve arrastrada al interior de los sueños de esa persona. Siempre es una espectadora invisible, no puede hacer nada durante estas experiencias pero tampoco puede salir de ella Ha cumplido completamente con lo que esperaba de él. Quería desconectar, algo ligero, sencillo y que se saliera de lo que han sido mis últimas lecturas. Desde que los ocho años Janie sufre una extraña condición que hace su vida realmente difícil y es que no puede estar cerca de alguien que duerme ya que si eso sucede Janie se ve arrastrada al interior de los sueños de esa persona. Siempre es una espectadora invisible, no puede hacer nada durante estas experiencias pero tampoco puede salir de ellas y lo peor de todo son las pesadillas que la pueden llegar a hacer convulsionar a su “yo físico”. Debido a esta especie de maldición Janie tiene una vida social muy limitada y su futuro está condicionado también. El otro protagonista, Cabel, es un chico con una historia de lo más triste y con muchos secretos que Janie descubrirá visitando sus sueños. Ambos empiezan a cruzar sus caminos y a poco a poco forjar una amistad que termina en romance. Me han gustado como pareja porque ambos tiene muchos puntos en común (como por ejemplo el guardar secretos y el haber llevado una vida llena de privaciones y malas experiencias) y personalidades que se complementan. Sueña, es un libro sin grandes pretensiones, corto y de fácil lectura. Un volumen que se lee enseguida y que consigue engancharte de forma inmediata. Desde luego cuenta con una trama original, innovadora y diferente, que despierta curiosidad. ¿Quién no ha querido saber alguna vez lo que sueñan los demás?, el mundo de los sueños es bastante desconocido, pero con Janie descubriremos que los sueños pueden llegar a ser terribles. Una de las peores cosas de la novela es la narración. Escrito en forma d Sueña, es un libro sin grandes pretensiones, corto y de fácil lectura. Un volumen que se lee enseguida y que consigue engancharte de forma inmediata. Una de las peores cosas de la novela es la narración. Escrito en forma de diario con frases cortas y sin llegar a profundizar en los diálogos, los personajes, ni sus sentimientos, explicándolo todo de forma superficial. Tampoco cuenta con descripciones de los personajes ni de los paisajes, quizás en esto se explayé un poco más con los sueños. Se me hizo muy complicado adaptarme a la forma de escribir de Lisa y creo que a muchos otros les ha pasado lo mismo. I found this book at Barnes and Noble months before it was supposed to be published!! It was hilarious! I was just looking through the YA section and found this book. It looked so good! I regret that I didn't try to buy it that day. Gosh! Anywho, I went home to found out more information about the book and author and found out that it hadn't been published yet! Yet, I found it at Barnes and Noble! I really really regret not buying it that day!! Geez! That would have been cool! I emailed Lisa tell I found this book at Barnes and Noble months before it was supposed to be published!! I emailed Lisa telling her about my story. She got a kick out of it and we agreed on me going out the next day to see if it was still there. I reported that it wasn't so she said that it must have been a mistake. I was wondering though, so, do book stores own books months in advance from the publishing date? if they do, then why wait for the publishing day? if the book is done early then gosh darn it publish it early! why make the world wait?!??!?! so yeah, i was mad, because i got so excited about the book by then. yet, i had to wait like everyone else. i had to wait about two months. man, that felt like forever. so i advertised WAKE at my school on the publishing day saying, "WAKE by Lisa McMann is out! Go buy it today! It's so good! I've been talking to her for a few months and it seems like this book is going to do real well." As you may have guessed I ran out that day to get my copy of the book. I made sure to read the book mostly at school for more publicity. it sure worked! my noticed that my friend was interested in the book because i kept annoying everyone about and so i convinced her to read it. she loved it! i couldn't wait until she was finished reading it so we could talk about it. all we could talk about was hott Cabel....mmmm....he is lovely. This dystopian novel has been on my TBR for as long as I can remember. I've been in a massive reading slump lately and needed a relatively short novel to pull me back out of it and I definitely think this was perfect for it. The concept of the story is definitely what drew me in and I think the author executed it very well. Was definitely a little hard to keep track at first as to where things were happening in reality or the Janie's dreams or other peoples dreams....however it was quickly cleared This dystopian novel has been on my TBR for as long as I can remember. Was definitely a little hard to keep track at first as to where things were happening in reality or the Janie's dreams or other peoples dreams....however it was quickly cleared up. My only real gripe with this book was that the writing was very choppy and kind of read like a series of bullet points at times, but apart from this, it was a solid 3 star read.